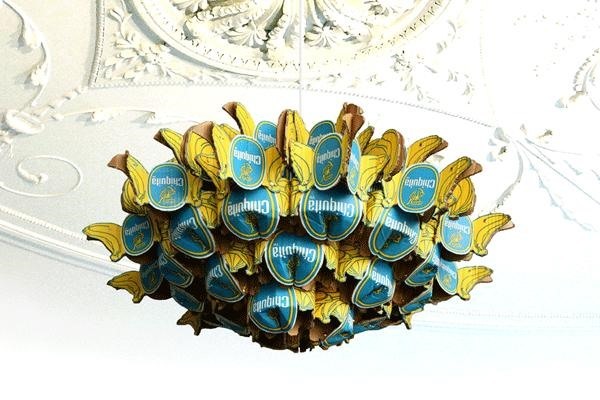 Dutch designer Anneke Jakobs created this recycled Chiquita banana box chandelier while a student at the Utrecht School of Product Design. 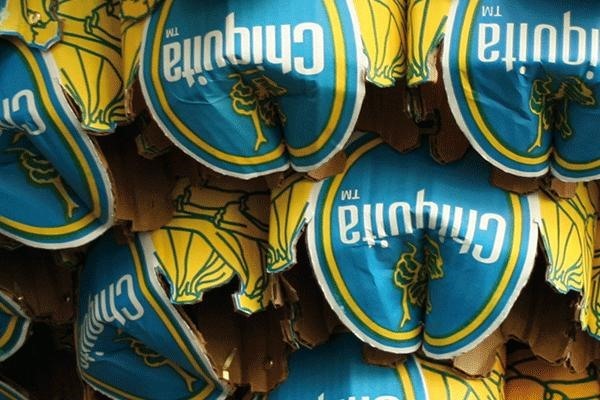 Cheap, thrifty, and eco-friendly, the Chiquita Chandelier is a great concept. At the end it's everyone's choice to spend their time or their money on something. 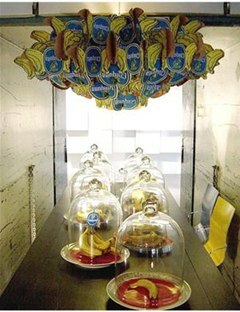 Mail to info@annekejakobs.nl to receive a digital manual to make your own chandelier. If you'd like to make your own, email Anneke as she says above or download the PDF plans Whorange has posted. I don't understand, a chandelier that has no lights? This is in Mexico... It's too hot for lights!! !